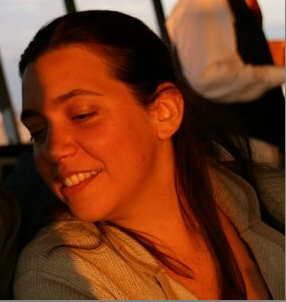 Cecilia Leotardi is a Research Engineer at CNR-INSEAN, National Research Council of Italy-Marine Technology Research Institute. She achieved the M.Sc. degree in Mechanical Engineering from Rome Tre University in 2007 and the Ph.D. degree in Mechanical and Industrial Engineering from the same University in 2011, with a thesis on “An Innovative Decomposition of the Velocity Field with the Corresponding Generalized Bernoulli Theorem for Viscous Flows”. Her research now focuses on simulation-based design optimization methodologies, using prime-principle based solvers for ship hydrodynamics for both deterministic and stochastic applications. She has been CNR-INSEAN PI of a EU-founded project and focusing on the definition of Regional Research Vessels design guidelines and their implementation in generic designs, including simulation-based design optimization for bubble sweep-down mitigation. She is member of the European Research Vessels Operators and of the International Research Ship Operators, representing CNR-INSEAN. She has been Scientific Officer at the Secretariat of Joint Programming Initiative Healthy and Productive Seas and Oceans (JPI Oceans) from September 2016 to March 2017. She is author of about 26 papers published in international conference proceedings and peer-reviewed journal.